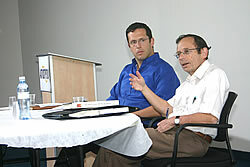 On June 20, 2006, Professor Blidstein spoke (in Hebrew) at the annual meeting of ATID’s Fellows and Alumni on issues related to teaching Machshevet Yisrael (Jewish Thought). 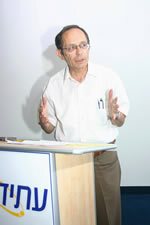 Professor Gerald (Yaakov) Blidstein was awarded the Israel Prize for Jewish Thought on Yom HaAtzmaut 5766 (2006). 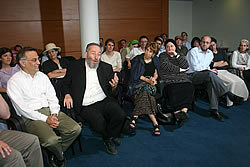 He is professor of Jewish Thought at Ben-Gurion University in Beer Sheva.